To establish the process for management of Academic Appeals lodged by Students. This procedure applies to all Appeals by Students, or their Authorised Representative, in relation to Decisions and/or penalties relating to academic matters. Appeals by Students in relation to non-academic matters. Please refer to the Non-Academic Appeal Procedure. Appeals by Employees in relation to employment matters. Please refer to the relevant human resource policy or procedure. The Academic Appeal Procedure establishes the process for Academic Appeals lodged by Students about Decisions relating to academic matters in line with the University's commitment to natural justice and procedural fairness. The University will uphold appropriate standards throughout the Academic Appeal process. * An Academic Appeal is only appropriate where a return to study application has been denied. For details on the return to study application process, please refer to the Enrolment Procedure. The Decision was manifestly incorrect or unjust or the penalty, where applicable, exceeds the nature of the offence. Completed the Review of Final Grade process where any other circumstances, as outlined in the Assessment Procedure 4.3.14 Review of Final Grade, apply. Discussed with the Examiner, Moderator, Graduate Research School, Head of School or other appropriate person, such other issue of concern set out in 4.1 above. If an administrative error has occurred in Assessment, the Student's Grade must be adjusted accordingly. There is no onus on the University to re-mark Assessment Items as part of this consultation and informal resolution process. Students who would like an Authorised Representative to act on their behalf in relation to lodging an Academic Appeal must arrange official permission with the University in accordance with the Student Authority to Act Procedure. receipt of any other such advice or Notice upon which the Student intends to Appeal. Extensions are not typically given for Academic Appeals. The Chair of the Academic Appeals Committee will determine if an extension is to be given. Academic Appeals lodged after the time limit, or after any extension which may be granted, will not be heard. The Secretary of the Committee endeavours to confirm receipt of a formal Academic Appeal submission within three University Business Days of receipt by the University of the submission. All reasonable measures will be taken to finalise the process as soon as practicable. Should the matter be unresolved after 20 University Business Days from the date of receipt by the University of the Academic Appeal submission, the Student will be kept appropriately informed by the Committee Secretary of the process and its progress. Where a minimum of three Academic Appeals Committee members endorse the Chair's recommendation, the Academic Appeal submission will be dismissed without proceeding to an Academic Appeals Committee hearing. The Committee Secretary will give Notice of the submission's dismissal to the Student, including reasons for the Decision, normally within 15 University Business Days of the receipt by the University of the Academic Appeal submission. Where any Academic Appeals Committee member dissents from the Chair's recommendation, the Appeal will proceed to the next available Academic Appeals Committee hearing. All such Decisions, and the rationale upon which they are based, must be reported at the next meeting of the Academic Appeals Committee. the location of the hearing, including options for alternate methods of participation (e.g. teleconference). The Appeal hearing will be conducted in accordance with the Terms of Reference for the Academic Appeals Committee. the Student has been unfairly treated in the process of Assessment, Academic Misconduct, Academic Standing or Enrolment or other relevant policy and/or procedure which provides for recourse to the Academic Appeals Committee. The Chair of the Academic Appeals Committee shall give Notice to the Student that their Appeal has been successful and that the disputed Final Grade, penalty or other relevant Decision will be appropriately adjusted or withdrawn by the Examiner of the Course involved, or Graduate Research School, or by the Head of School, as appropriate. The Chair of the Academic Appeals Committee shall advise the Executive Dean, or the Executive Dean's nominee, that a breach of the University's policies or procedures, or failure to adhere to the approved procedures for a Course, has occurred. The Executive Dean, or nominee, will take appropriate steps to ensure that the effects of the breach on all Students in the Course are minimised. With respect to actions taken under this section in relation to Assessment, no Student, as a consequence of this action, will receive a Final Grade lower than that initially given. The Executive Dean, or nominee, shall advise all Students in the Course of the action taken and its effect on them. new evidence not available at the time of the original Appeal which may have material impact on the outcome. The University Appeals Panel is the highest Appeal body of the University and matters may only be referred to the University Appeals Panel if all other avenues of Appeal have been exhausted. Appeals to the University Appeals Panel are to be made in accordance with the University Appeal Procedure. Decisions of the Vice-Chancellor, based on recommendations from the University Appeals Panel, are final. If a Student is dissatisfied with the outcome of the Academic Appeals process, the Student has the right to refer their issue to an external agency. This would normally only be done after exhausting all of the avenues of resolution available within the University. Students should make Academic Appeals responsibly and the University will treat them seriously and with regard to the rights of all parties. Students normally will not suffer any form of disadvantage as a result of making a Complaint or Appeal. There will be provision, however, to protect the University and its Employees from vexatious or malicious Academic Appeals. The University will aim to resolve all Complaints and Appeals in a fair, impartial, consistent, respectful and timely manner. Confidentiality and privacy are to be maintained at all times by all parties wherever possible. Students will have the right, at any time, to withdraw an Appeal which they have lodged by providing such advice in writing to the Secretary of the Academic Appeals Committee via academic.appeals@usq.edu.au. The University is not liable for any expenses incurred by the Student or any Student Support Person or Student Advocate assisting the Student, Employees or other attendees at meetings of Appeals Committees. A Student may remain enrolled in their Course of study pending the outcome of an Academic Appeal, including Enrolment in any Course for which the Course under Academic Appeal is a prerequisite, unless it is demonstrated to the satisfaction of the Academic Registrar that the University's duty of care to the public is such that the Student should not be permitted to continue their Enrolment. In determining the matter, the Academic Registrar will take into account material presented by the Academic Division and the Student. If the Academic Appeal is denied, the Student's Enrolment will be adjusted appropriately; the Student will be withdrawn from any Course for which the Course under Academic Appeal is a prerequisite. The Chair will ensure the implementation of any Decision and/or corrective and preventative action arising from an Academic Appeal in accordance with the University's policies and procedures. This must be completed as soon as possible after the Academic Appeal Decision. The Academic Appeals Committee will appoint a responsible officer to monitor and report back on any actions. All parties involved in an Academic Appeal must receive regular Notice from the Chair, of progress or outcomes, including the reasons for the outcome. The Committee Secretary will be responsible for ensuring complete and accurate recording of all material in accordance with University Policy and regulatory obligations. Records will be kept of the appeal process and outcome. The outcomes of all Academic Appeals lodged against penalties imposed pursuant to the Academic Integrity Procedure and Academic Integrity Procedure Penalty Schedule must be reported to the Office of the Pro Vice-Chancellor (Student Services) in a timely manner. The Pro Vice-Chancellor (Student Services) will prepare an annual report on the work of the Academic Appeals Committee for submission through the Vice-Chancellor to Academic Board, the Chancellor's Committee and Council. This report will include, for each case, as strictly de-identified information, the type of Academic Appeal; the grounds of Academic Appeal; the outcome of the Academic Appeal; and the primary organisational unit involved. The report will include Decisions not to proceed to the Academic Appeals Committee hearing. This procedure must be read in conjunction with its subordinate schedules as provided in the table below. A formal, written request made by a Student to the Academic Appeals Committee to have a Decision, in relation to an academic matter, overturned....moreA formal, written request made by a Student to the Academic Appeals Committee to have a Decision, in relation to an academic matter, overturned. The pursuit of scholarly activity in an open, honest and responsible manner. Academic Integrity includes a commitment not to engage in or tolerate acts of falsification, misrepresentation or deception. Such acts of dishonesty violate the fundamental ethical principles of the University community and compromise the worth of work completed by others....moreThe pursuit of scholarly activity in an open, honest and responsible manner. Academic Integrity includes a commitment not to engage in or tolerate acts of falsification, misrepresentation or deception. Such acts of dishonesty violate the fundamental ethical principles of the University community and compromise the worth of work completed by others. Academic Misconduct involves providing aid or assistance in relation to, creating or making, obtaining or acquiring, or using information, services or equipment that may unfairly give a Student an unauthorised advantage relative to other Students with regard to a Formal Examination or other Assessment Item. 'Unauthorised advantage' includes any advantage not identified for the Fo...moreAcademic Misconduct involves providing aid or assistance in relation to, creating or making, obtaining or acquiring, or using information, services or equipment that may unfairly give a Student an unauthorised advantage relative to other Students with regard to a Formal Examination or other Assessment Item. 'Unauthorised advantage' includes any advantage not identified for the Formal Examination or Assessment work. Academic Misconduct includes but is not limited to Collusion, Plagiarism, contract cheating, impersonation of a Student or University Employee, and Failure to Comply with Formal Examination or Assessment Instructions. The Pro Vice-Chancellor (Student Services) including a person acting in that position....moreThe Pro Vice-Chancellor (Student Services) including a person acting in that position. A means of measuring a Student's academic performance each Teaching Period....moreA means of measuring a Student's academic performance each Teaching Period. A formal, written request made by a Student or Employee to a higher authority to have a Decision overturned....moreA formal, written request made by a Student or Employee to a higher authority to have a Decision overturned. The process of evaluating the extent to which Students have achieved the objectives of a Course....moreThe process of evaluating the extent to which Students have achieved the objectives of a Course. An individual Assessment task as outlined in the Assessment schedule for a Course. Assessment Items may consist of Assignments or Formal Examinations and may be Formal, Informal, Formative or Summative in nature....moreAn individual Assessment task as outlined in the Assessment schedule for a Course. Assessment Items may consist of Assignments or Formal Examinations and may be Formal, Informal, Formative or Summative in nature. A representative who has been authorised to represent or act on behalf of a Student and acknowledged as such by the University in writing and in compliance with relevant University policy....moreA representative who has been authorised to represent or act on behalf of a Student and acknowledged as such by the University in writing and in compliance with relevant University policy. An Authority to Act is an official permission given by a person to another person and/or entity to act on certain matters, or granted to a person or entity to act on behalf of another person through an existing legal instrument for a certain period of time. An Authority to Act can be given in relation to all business transactions with the University, or extended in relation to certain matter...moreAn Authority to Act is an official permission given by a person to another person and/or entity to act on certain matters, or granted to a person or entity to act on behalf of another person through an existing legal instrument for a certain period of time. An Authority to Act can be given in relation to all business transactions with the University, or extended in relation to certain matters only. An expression of dissatisfaction made in relation to an action, Decision or omission within the responsibility and control of the University, a University Member or a Student, where a response or resolution process is expected wherever possible....moreAn expression of dissatisfaction made in relation to an action, Decision or omission within the responsibility and control of the University, a University Member or a Student, where a response or resolution process is expected wherever possible. The basic unit of study and assessment for which a Student may be awarded a grade, and may accumulate credit units towards completion of a Program....moreThe basic unit of study and assessment for which a Student may be awarded a grade, and may accumulate credit units towards completion of a Program. A determination made by an Employee, contractor or other authorised delegate in the course of their duties on behalf of the University....moreA determination made by an Employee, contractor or other authorised delegate in the course of their duties on behalf of the University. A person employed by the University and whose conditions of employment are covered by the USQ Enterprise Agreement and includes persons employed on a continuing, fixed term or casual basis. Employees also include senior Employees whose conditions of employment are covered by a written agreement or contract with the University....moreA person employed by the University and whose conditions of employment are covered by the USQ Enterprise Agreement and includes persons employed on a continuing, fixed term or casual basis. Employees also include senior Employees whose conditions of employment are covered by a written agreement or contract with the University. The process of admitting Students to one or more Courses for the current Academic Year....moreThe process of admitting Students to one or more Courses for the current Academic Year. A University staff member, normally an academic staff member, continuing or fixed term, appointed to be responsible for the conduct and Assessment of a Course in accordance with the prescribed Course Specification....moreA University staff member, normally an academic staff member, continuing or fixed term, appointed to be responsible for the conduct and Assessment of a Course in accordance with the prescribed Course Specification. A Final Grade is a code that normally represents the outcome of the Assessment of a Student's performance against the learning objectives of a Course but may reflect the outcome of an applicable administrative process....moreA Final Grade is a code that normally represents the outcome of the Assessment of a Student's performance against the learning objectives of a Course but may reflect the outcome of an applicable administrative process. The person bearing that title including a person acting in that position....moreThe person bearing that title including a person acting in that position. An academic staff member responsible for the administration of the Course offerings in one or more discipline areas....moreAn academic staff member responsible for the administration of the Course offerings in one or more discipline areas. A process in which parties to a dispute, with the assistance of a neutral third party ('the Mediator'), identify the disputed issues, develop options, consider alternatives and endeavour to reach an agreement. The Mediator has no advisory or other determinative role with regard to the content of the dispute or the outcome of its resolution, but may advise on or determine the process of...moreA process in which parties to a dispute, with the assistance of a neutral third party ('the Mediator'), identify the disputed issues, develop options, consider alternatives and endeavour to reach an agreement. The Mediator has no advisory or other determinative role with regard to the content of the dispute or the outcome of its resolution, but may advise on or determine the process of mediation whereby resolution is attempted. A formal, written request made by a Student to a higher authority to have a Decision, in relation to a non-academic matter, overturned....moreA formal, written request made by a Student to a higher authority to have a Decision, in relation to a non-academic matter, overturned. A Notice from the University is a document, whether physical or electronic. A Notice may be: given by hand to the addressee or delivered to the address provided by the addressee to the University; or sent by registered or pre-paid mail to the address provided by the addressee to the University; or sent by electronic communication to the University-issued email account provided by the Unive...moreA Notice from the University is a document, whether physical or electronic. A Notice may be: given by hand to the addressee or delivered to the address provided by the addressee to the University; or sent by registered or pre-paid mail to the address provided by the addressee to the University; or sent by electronic communication to the University-issued email account provided by the University to a Student during the period of Enrolment until the completion of their program; or sent by electronic communication to the email address provided to the University by an addressee not enrolled at the University. A Notice is taken to be received if: given by hand to the addressee or delivered to the address provided to the University by the addressee; or sent by registered or pre-paid mail - three University Business Days after the date of posting; or sent by electronic communication - at the time that would be the time of receipt under the Electronic Transactions Act 1999 or its succeeding legislation. A Notice that would be deemed to have been received out of business hours or on a non-University Business Day will instead be deemed received on the next University Business Day. An operational instruction that sets out the process to operationalise a Policy....moreAn operational instruction that sets out the process to operationalise a Policy. Research Misconduct occurs where there is a serious or deliberate failure to comply with the specific provisions of the University's Research Code of Conduct Policy, its supporting policies, pursuant procedures and processes and the broader Australian Code for the Responsible Conduct of Research. An allegation relates to Research Misconduct if it involves all of the following: an alleged bre...moreResearch Misconduct occurs where there is a serious or deliberate failure to comply with the specific provisions of the University's Research Code of Conduct Policy, its supporting policies, pursuant procedures and processes and the broader Australian Code for the Responsible Conduct of Research. An allegation relates to Research Misconduct if it involves all of the following: an alleged breach of the Research Code of Conduct Policy and the broader Australian Code for the Responsible Conduct of Research; and intent and deliberation, recklessness or gross and persistent negligence; and serious consequences, such as false information on the public record, or adverse effects on research participants, animals or the environment. Research Misconduct does not include honest errors or honest differences in interpretation or judgments of data. Examples of Research Misconduct include, but are not limited to, the following: fabrication of data or results falsification or misrepresentation of results of data including changing records failure to declare and manage serious conflicts of interest falsification or misrepresentation to obtain funding conducting research without ethics approval as required by the National Statement on Ethical Conduct in Human Research 2007; the Australian code for the care and use of animals for scientific purposes 8th Edition 2013; or the Gene Technology Act 2010 (Cwlth) (or any subsequent editions or instruments) risking the safety of human participants, the wellbeing of animals, or the environment willful concealment or facilitation of Research Misconduct by others deviations from the Research Code of Conduct Policy, or its supporting policies, pursuant procedures and processes and/or the Australian Code for the Responsible Conduct of Research that occur through gross or persistent negligence other practices that seriously deviate from those commonly accepted within the research community for proposing, conducting or reporting research. Repeated or continuing breaches of the Research Code of Conduct Policy, its supporting policies, pursuant procedures and processes and/or the Australian Code for the Responsible Conduct of Research may also constitute Research Misconduct, and do so where these have been the subject of previous counselling or specific direction. A person who: has been Admitted or Enrolled in an Academic Program at the University, but has not yet graduated from the program; or has been Enrolled in a Course at the University but has not yet completed the Course....moreA person who: has been Admitted or Enrolled in an Academic Program at the University, but has not yet graduated from the program; or has been Enrolled in a Course at the University but has not yet completed the Course. A Student Support Person who has the permission of a Student who has lodged an Appeal or made a Complaint, to communicate on their behalf, including to seek clarification....moreA Student Support Person who has the permission of a Student who has lodged an Appeal or made a Complaint, to communicate on their behalf, including to seek clarification. A person who can provide support to a Student who has lodged an Appeal or made a Complaint. The Student Support Person may attend any meeting with that Student as an observer but may not, unless they are the Student Advocate, participate in or express opinions at the meeting....moreA person who can provide support to a Student who has lodged an Appeal or made a Complaint. The Student Support Person may attend any meeting with that Student as an observer but may not, unless they are the Student Advocate, participate in or express opinions at the meeting. The term used prior to 2002 to describe a Term....moreThe term used prior to 2002 to describe a Term. The term 'University' or 'USQ' means the University of Southern Queensland....moreThe term 'University' or 'USQ' means the University of Southern Queensland. A formal, written request made by a Student or other eligible appellant who has recourse through the Academic Appeal Procedure and Non-Academic Appeal Procedure to the University Appeals Panel, to appeal a Decision made by any University committee which provides for recourse to the University Appeals Panel....moreA formal, written request made by a Student or other eligible appellant who has recourse through the Academic Appeal Procedure and Non-Academic Appeal Procedure to the University Appeals Panel, to appeal a Decision made by any University committee which provides for recourse to the University Appeals Panel. The days of Monday to Friday inclusive between 9am and 5pm Australian Eastern Standard Time (AEST), with the exclusion of gazetted Public Holidays for the relevant campus location, plus the closure of the University between 25 December and 1 January in the following year inclusive as specified in the USQ Enterprise Agreement, as well as any closure of the University either at one or se...moreThe days of Monday to Friday inclusive between 9am and 5pm Australian Eastern Standard Time (AEST), with the exclusion of gazetted Public Holidays for the relevant campus location, plus the closure of the University between 25 December and 1 January in the following year inclusive as specified in the USQ Enterprise Agreement, as well as any closure of the University either at one or several campuses in accordance with a direction of the Crisis Management Team. Failure to comply with this Policy or Policy Instrument may be considered as misconduct and the provisions of the relevant Policy or Procedure applied. * This file is available in Portable Document Format (PDF) which requires the use of Adobe Acrobat Reader. A free copy of Acrobat Reader may be obtained from Adobe. 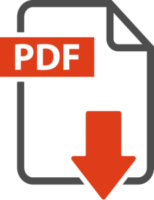 Users who are unable to access information in PDF should email policy@usq.edu.au to obtain this information in an alternative format.